The market opened lower last week but closed mixed to higher after the Federal Reserve and the European Central Bank (ECB) made it abundantly clear that easy money is here to stay for the foreseeable future. The big bullish change is that the Fed put (which means the Fed will step in to help the market when it gets in trouble), is alive and well. Since the Great Recession, every time the market fell 10% or so, the Fed, and other central banks, would step in and announce more easy money. In October 2018, the Fed tried to shift its stance but the market quickly plunged 20% before the Fed blinked and reversed back to an easy money stance. 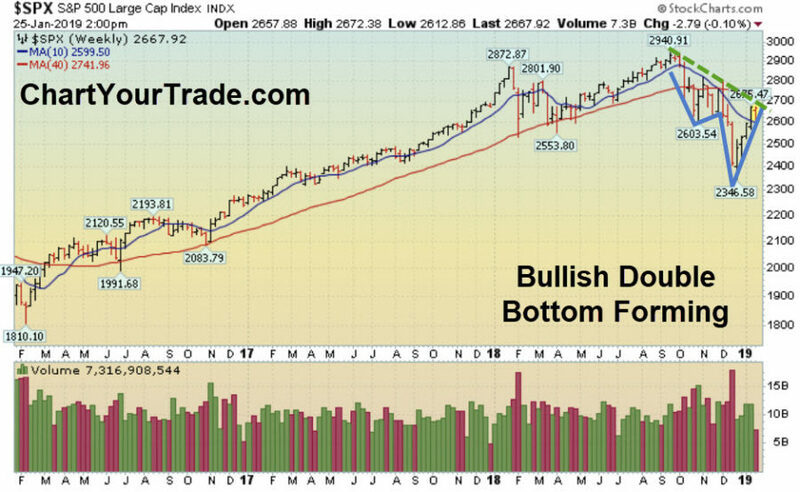 For now, the market continues to react well to that easy money and as long as it continues to act well, the bulls are getting stronger. Near term, the 50 DMA line is support and the 200 DMA line is resistance. Longer-term, December 2018’s low is major support and 2018’s high is major resistance. The fact that the market refuses to fall is very bullish and, as long as that continues, it should be respected. To be clear, if the market starts falling again, and ignores all the easy money, then we will be in for a very ugly bear market.